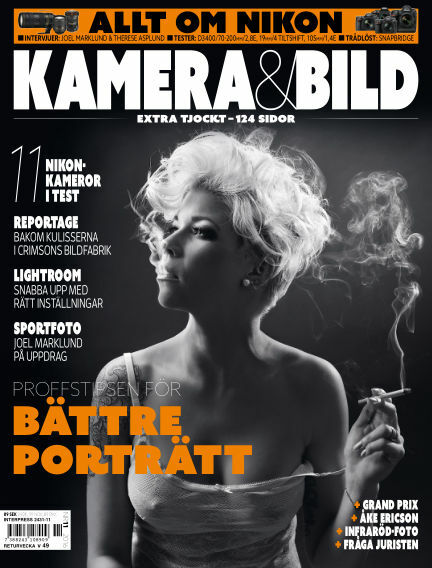 In this issue of Kamera & Bild : Extra tjockt nummer - Nikon-special. Bilden i fokus: Åke Ericson. Grand Prix: Vinnarna i etapp 9. Lightroomskolan del 21. Reportage: På besök hos Crimson. 11 Nikon-kameror i test. Intervjuer: Joel Marklund och Therese Asplund. Nya tester: D3400, 70-200/2,8, 19 mm tiltskift, 105/1,4. Trådlöst: Snapbridge. With Readly you can read Kamera & Bild (issue 2016-11-08) and thousands of other magazines on your tablet and smartphone. Get access to all with just one subscription. New releases and back issues – all included.